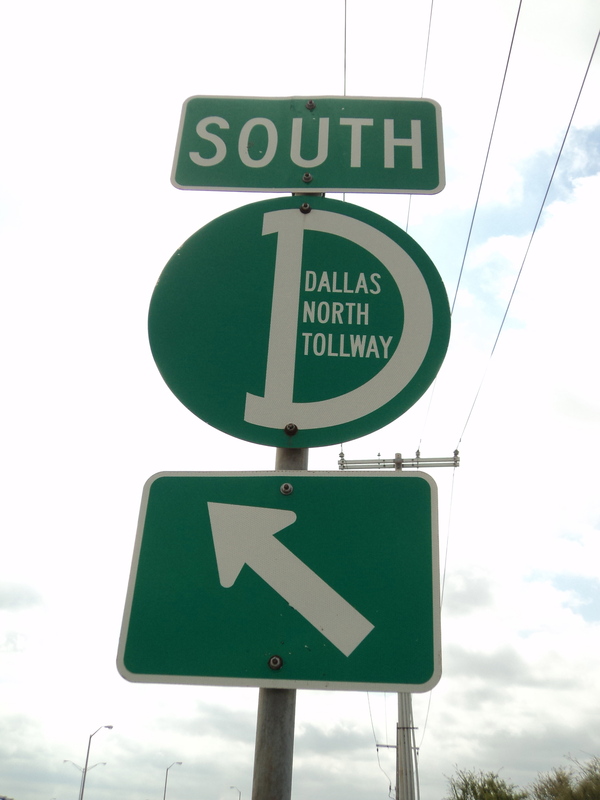 According to my research, the Dallas North Tollway was constructed in 1966, but it didn’t make its way up to my part of town until early 1990’s. The reason the DNT was so specially is because it took you from Plano, Texas (where I grew up) to Downtown Dallas (where I wasn’t allowed to drive to) in 20 minutes. It was a straight shot. “WoooWooo,” I walked out of the DMV. “Did you get it?” my mom said. “Of course.” I headed towards the driver side. “What do you think your doing?” Mom said. “I’m drivin.” I got in the car and started it before she had a chance to protest any further. “No, let me drive you to work and I’ll pick you up after school.” She agreed without to much more coaxing. I drove to her office without incident. She hesitated to get out. “Mom, school’s 3 miles down the street.” I tried to convey the look of a responsible teenage. I turned out of the parking lot. I put the windows down and proceeded towards school. It was a warm December. Drivin myself to school, how cool. But, when I drove up to the entrance to the school, i didn’t turn. Up in the distance, I saw it. 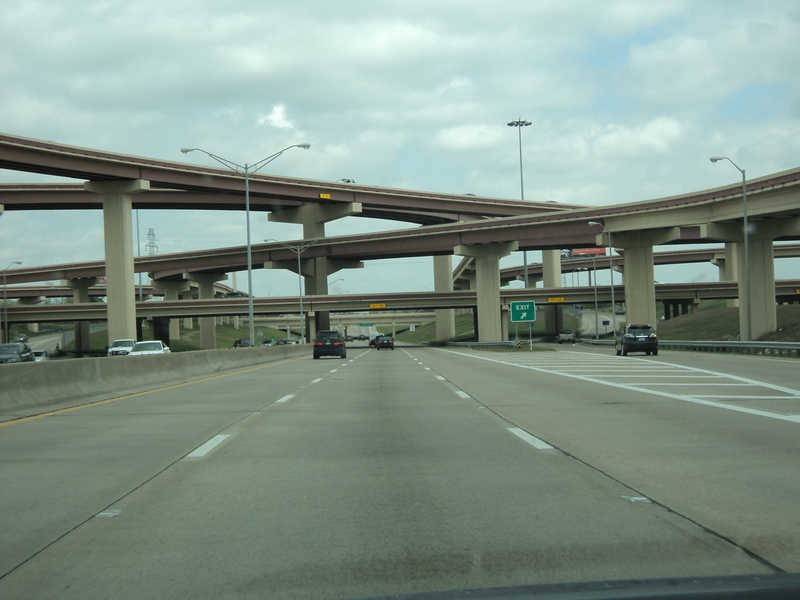 The Dallas North Tollway. I could drive downtown, take myself to lunch and be back before afternoon classes. Am I crazy, yes. Am I going to do it, or course I am. I kept going. I turn left and am on the entrance ramp. I drove this road during drivers ed., but this is my first solo. The most exciting moment of my life. I stay in the right lane, but as I pick up speed and get more comfortable, I venture into the middle lane. The cross streets are zooming past me, Plano Parkway, Frankford, Arapaho, Beltline, SpringValley. I hit 635, I am half way there. I feel like a race car driver, hugging the curves staying in my lane. I ride and ride and ride, feeling the freedom that only comes from being a licensed driver. It was perfect. If I hadn’t been pulled over by a cop and given a ticket, my parent’s would have never known. BTW, don’t take photos as you drive, it is dangerous. Do you remember the day you got your driver’s license? Actually I don’t remember the day I got my first license. All I know I was 18 when I did. I love Dallas, but not thrilled with the traffic. Yeah, you never get used to the traffic. Just avoid being on the highways from 7-9 and 5-7. I do remember passing my test – it seems a very long time ago now. For me, too. But, I get that feeling every day when I drive the Dallas North Tollway. It is so much fun to drive. Makes me feel like a kid. Great d! I do remember passing my test, second time around.. It then took me years before I felt confident to drive. You’ve reminded me how priviledged we are to be able to drive ourselves anywhere. I feel a road trip coming on! Hey Lynne, I love road trips. I’ve driven back and forth to Florida and New York several times. I really want to drive out west and see what that’s like. I remember passing my test, but it took me a long while to venture out onto Big Roads! I have a friend who has had her license for years before getting on highways. Even now, she only gets on if she has to. It is the best. Freedom. The freeway was such an additional milestone in my adolescents. haha. I love your theme. 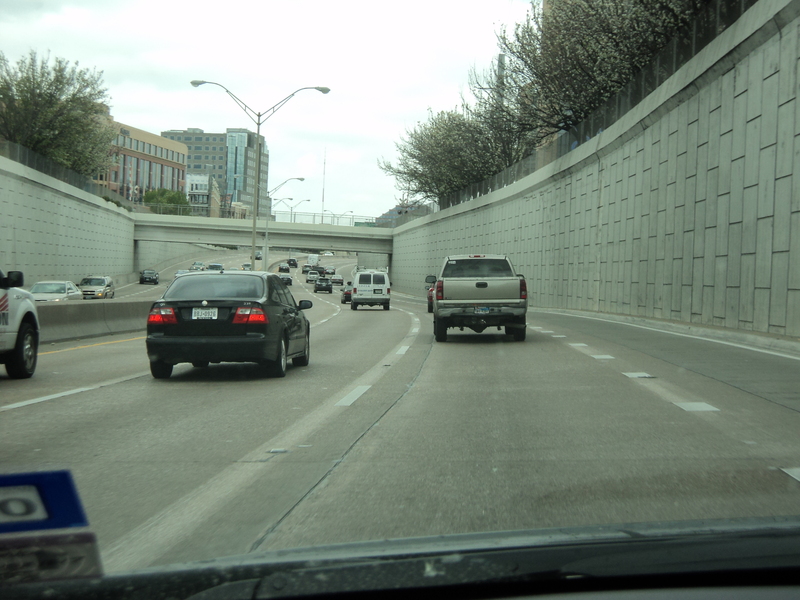 We also drove around Dallas/Ft. Worth when we lived in Austin, but my brother-in-law lives in the Dallas area now so we may have to stop and actually take a look around. I’ll make sure to hit the sites you list here. Thanks for stopping by. Hopefully I can share something new about Dallas. It is all so new to me 7 years later. I don’t remember the day I got my first driver’s license, but I clearly remember the day I took the written test in a new state … and failed it. ACK! Oh, so sorry, but I assume you eventually got it, right? haha. I remember taking the test, but don’t remember anything else from the day. Hi Brett. Thanks for stopping by. Oh dang! Terrible luck for the kid. Oh no! Those darn policemen, giving tickets and getting you in trouble for skipping school! Weren’t they young once?? LoL! I remember my boyfriend took me to get my license, and I surprised my parents with it. They were quite shocked, and wouldn’t let me drive on the expressway for at least a year. Great story, and nice seeing you at A to Z! Hi Julie, I wasn’t allowed back on the highway until I turned 18. Thanks for stopping by. I lived in DC for awhile so I know the beltway very well. Thanks for following. Just about remember it was 50 years ago – it took me three goes in London but I have enjoyed driving ever since – Motorways were new back then – was terrified first time I drove on M1 to go to a friends wedding. – how to manage the lane changes (you can have lessons on it now but then you just tried it out!) how to pass the lorries – and thinking back there was hardly any traffic compared to today – happy days. Happens to me all the time, too. Thanks for stopping by Patricia. i do remember my first day with my license. i was so excited driving solo i think i screamed. i gave a friend a ride home after play practice that night and while i was talking to him, he said, “you know you just ran a stop sign, right?” i did totally freak out because i hadn’t even noticed. i was too damn excited to be driving. luckily for me, it was a smaller town than dallas and i didn’t get pulled over. SCARY! Haha. I’ve had those moments to. I’ve not a good driver because I tend to daydream a lot and not pay attention. How is it that parents always find out our indiscretions? Must be the sixth sense I feel now with my kids. I hope I can continue the tradition.